A good source of books about dogs can be found at www.dogwise.com (formerly Direct Book Services). 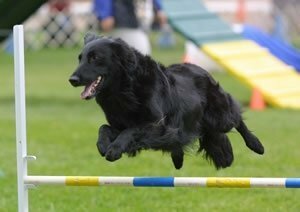 FCRlist: Canine specialty list for Flat Coated Retrievers. You must read and agree to abide by the rules in the welcome file *before* posting to FCRlist. Anyone wanting to join the list should send an email to FCRlist+owner@googlegroups.com. Within the email, please write a brief statement of your interest in Flatcoats and your full name. fcrBARF: A list for people feeding their Flat-Coated Retrievers a raw, natural, species appropriate, BARF-type diet, and for those interested in doing so. See groups.yahoo.com/group/fcrBARF for more information.